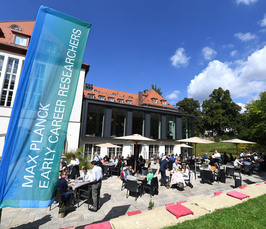 2nd Max Planck Symposium for Alumni and Early Career Researchers "Sustainability and Social Engagement"
Following up on the successful 1st Max Planck Symposium in 2016, the Harnack-Haus will once more be transformed into a "home away from home" where our early career researchers and alumns will meet to build and strengthen the international Max Planck community. Please note that the available programme is up-to-date since all speakers are confirmed and workshop topics and abstracts are finalized by the attendees. We invite you to view last year&apos;s conference website and programme for reference. Note to alumns, especially when travelling from abroad: We have a limited number of travel grants available to all alumns* travelling from abroad. If you choose to apply for a travel grant during registration, we suggest to spend extra care on filling out the motivational questionaire. If you need an invitation letter for your visa application, please contact Birgit Adam directly. Note to participants travelling with children: We highly enourage you to make use of our on-site daytime childcare. After you&apos;ve checked the corresponding box during registration we will get in contact with you to arrange the details. * To include all genders and facilitate transparent communication, alumni and alumnae will be referred to as alumns, henceforth and throughout the conference. Registration is closed. Save the date for next year: 20.-23.9.2018. View the programme as condensed PDF. Please follow this link to find and book a hotel room closeby, in case you do not find accommodation at the Seminaris Hotel.